Click this link to download Environment Canada GHG emissions data in Excel format for each province and territory (500 KB). 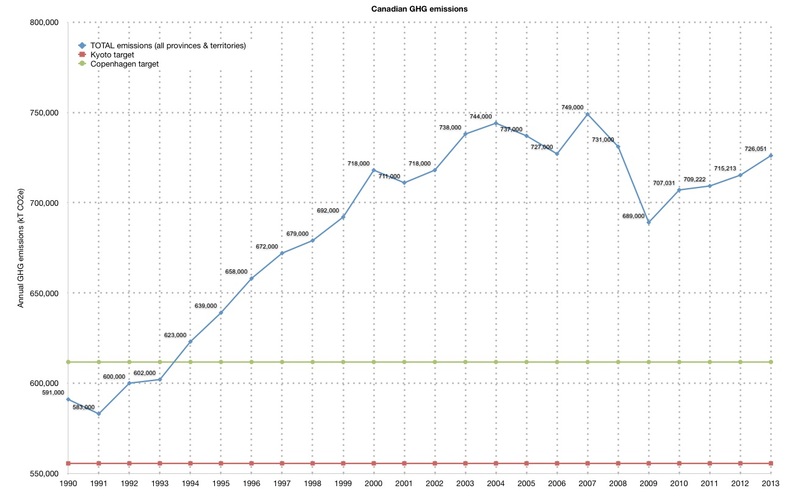 These tables show the amount and source of greenhouse gas emissions in Canada and all provinces each year from 1990 to 2013. The actual submission made by Canada to the United Nations Framework Convention on Climate Change (UNFCCC) is published on the UNFCCC website.